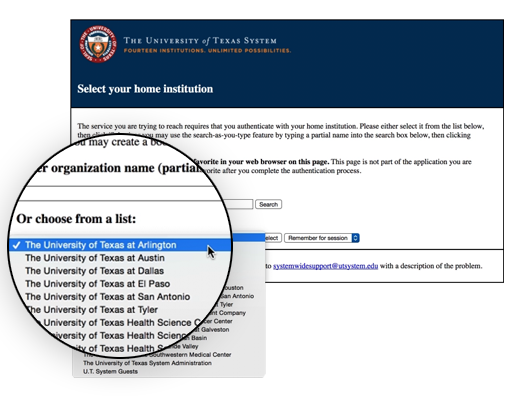 Create a TACC account using your UT System Institution Credentials. Login with your institution credentials. 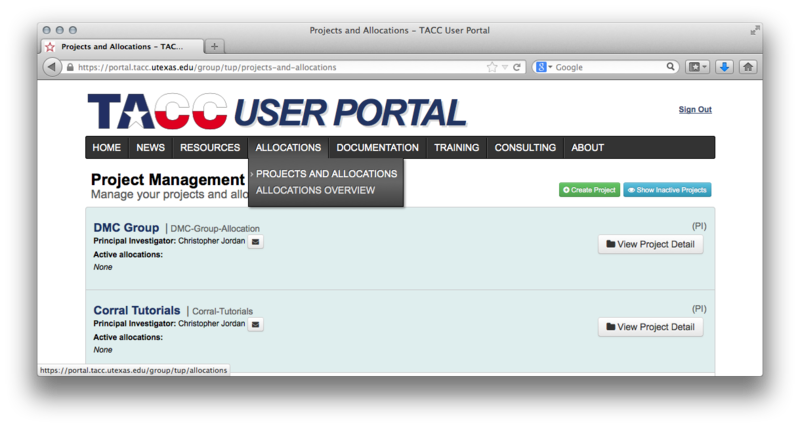 Click 'I need to create a TACC Account' button. Complete form – if eligible, check the 'I am PI Eligible' box. Check email to verify account and set personal password. TACC can accommodate sensitive data (including Protected Health Information) from certain institutions on certain resources. Please contact us to find out if you are covered. Choosing the right system can be daunting. If you are not sure what you're looking for, reach out to your regional contact, or submit a ticket. We can help. Stampede 2: TACC specializes in high performance computing, enabling researchers to make discoveries in every field of science. Stampede 2 is one of the most powerful and significant current supercomputers in the U.S. for open science research. The system offers infinite opportunities for computational science and technology. Lonestar: Lonestar 5 is specifically designed for academic researchers in the UT System. It serves as the primary high performance computing resource in UTRC. 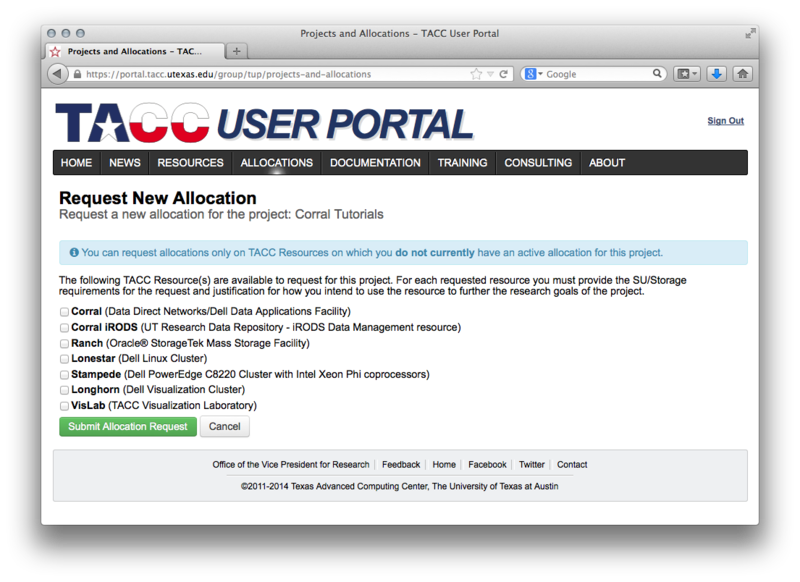 Corral: TACC offer 2 systems focused on storage and data service. Corral leads the way in the preservation and sharing of data for researchers. Deployed in 2009, Corral supports data-centric science at The University of Texas at Austin, and throughout the U.S.
Ranch: Ranch, a long-term mass storage solution, has 2 petabytes of online storage for data transfer and capacity for 160 petabytes of offline tape storage. By providing a massive file system for archival purposes, this system serves the HPC and Visualization communities. 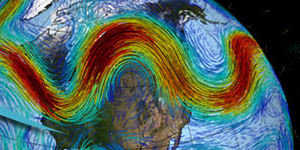 Maverick: Maverick is a dedicated visualization and data analysis resource. It combines capabilities for interactive advanced visualization and large-scale data analytics as well as traditional high performance computing. Recent exponential increases in the size and quantity of digital datasets necessitate fast data movement and advanced statistical analysis. Jetstream: Jetstream is the first user-friendly, scalable cloud environment for XSEDE. The system enables researchers working at the "long tail of science" and the creation of truly customized virtual machines and computing architectures. Chameleon: Chameleon is a configurable experimental environment for large-scale cloud research. This platform allows the open research community to explore transformative concepts in deeply programmable cloud services, design, and core technologies. Wrangler: Wrangler is the most powerful data analysis system allocated in XSEDE. The system is designed for large scale data transfer, analytics, and sharing and provides flexible support for a wide range of software stacks and workflows. To download past presentations, click here.